I like it. I’m not seeing a whole lot of new ideas for units though, which disappoints me. Interesting in knowing what those sniffer ones do. Also I like the look of the armoured guy with the moon shaped helmet. Thats a cool idea! Personally, I really like how GW has approached this army. As the night goblins were always my favourite army, they have done a wonderful job in pulling the old and tying it in with the new. Moonclan, forest goblins, trolls and giants. What could be better. Already a fan of the new, AoS2 and this army have gained my entire confidence. I no longer worry if they will squat old armies/units as the warscrolls already exist for everything and have no worry about future factions. No doubt they will pull all time favorites from the past and combine them with the new. Starting this year, I have no hobby room, no new rules or battletomes, nothing new 40k - zip on it all but I have a definite plan now. AoS2 will be the main system I work on now. I’ll start with stormcast and alternate after each unit with a gloomspite unit pulled from my old army and supplemented with the new gloomspite models. I have both dragon and lion rampant rules and may digress a bit with them but as I don’t have the time or committed resources for anything else, I’ll stick with my new plan. Another new shadespire warband. 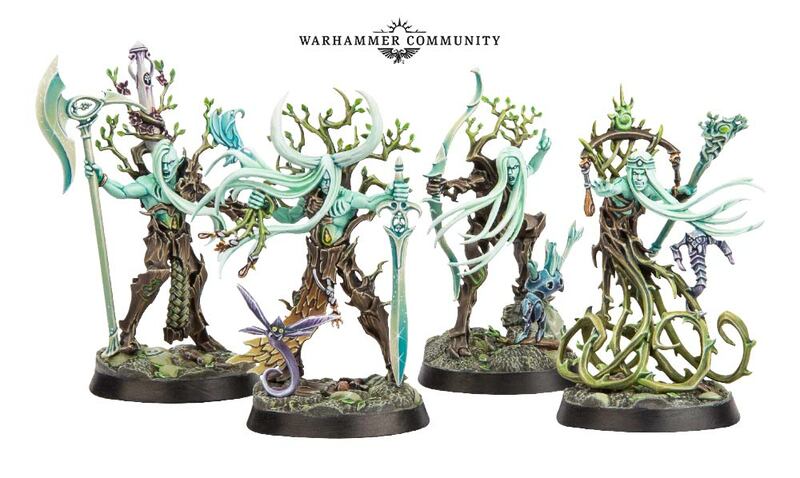 This time the sylvaneth. Warcry looks pretty cool. I'm interested to learn more about it. 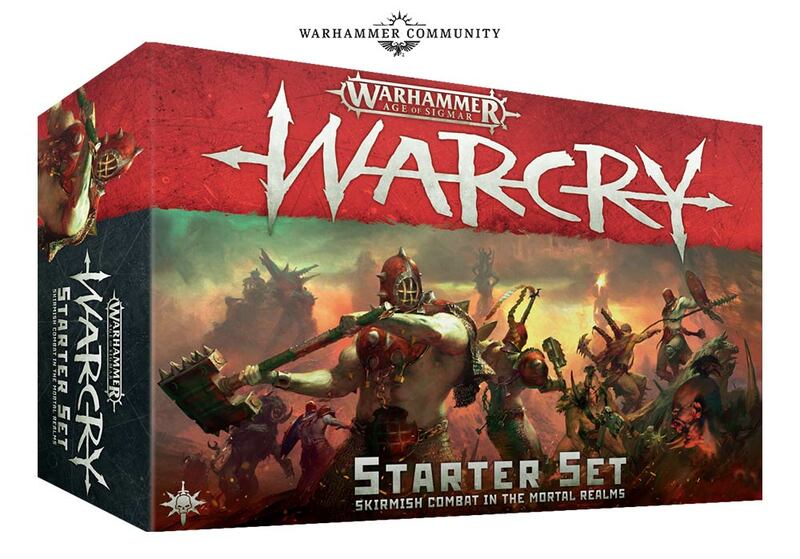 Any idea how does Warcry relate rules-wise to AoS and/or the board games? A thing of its own, or an iteration/setting in the previous? I very much like the idea of cultures, instead of the good/neutral/evil races. They've not given any information out rules wise at the moment. My impression is that it's a new rules system, in the way Kill Team was for 40k, but that was 90% the same as 40k anyway. So I expect this to be much like AoS, rather than anything like Underworlds. That's my impression to. Some kind of skirmish/kill team thing. They've really gotten on board with that kind of stuff, and it gives them a chance to make some interesting and unique looking models without redoing a whole army book or trying to make an entire unit. I'm also a real fan of the whole different cultures thing. I also like the Khadron Underworlds team. One of the first that's really caught my interest. Some of the Endless Spells also look real neat as possible scenery. We don't play with Endless Spells here, but I might pick up some like the Fyreslayer ones to make the board look fancy. I really like those Dwarf endless spells.... can see myself buying that. Love these dwarven "spells". The forge-thing will be great for my next terrain project! Not sure where to put this, but TGA community seams to be unavailable. For maintenance or something?